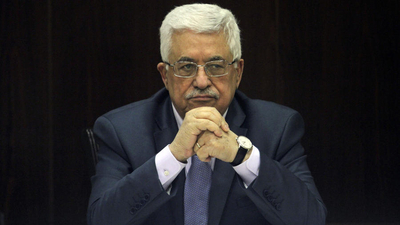 With the peace process in a deep-freeze, Palestinian Authority (PA) President Mahmoud Abbas is attempting to achieve through lawfare at the International Criminal Court (ICC) what he could not through negotiations. He is abandoning direct negotiations with Israel, turning over the Palestinians' fate to the Court in order to avoid making any concessions, and seeking to vilify, isolate, and prosecute Israel at the ICC for war crimes. Such a maneuver will prove counterproductive in the long run. Aside from it being obviously bad for Israel, it's bad for the Court, the United States, and those who profess to want a Palestinian state. The ICC was originally set up to prosecute crimes involving mass atrocities and has no jurisdiction over countries with a functioning, independent judicial system. It was not created to supplant the authority of the national courts. Contrary to the kangaroo court that exists within the PA, Israel has a well-functioning judiciary as part of its vibrant democracy. To the extent that there have been war crimes committed in Israel, the West Bank, and Gaza, the case of Hamas using their civilians as human shields, while launching rockets into crowded Israeli urban centers last summer, represents the greatest and glaring example of stones left unturned. The United States should not support direct economic assistance to the [Palestinian Authority] until it demonstrates a meaningful reversal of this destructive course and proves it can be a willing partner for peace. The Palestinians are asking to have both their statehood and borders declared by the ICC, without Palestinian compromise or Israeli consent, and to give to the Court a jurisdiction over Israeli civilians that the PA does not possess. Some view this latest ploy as a response to the lack of progress in the peace process, but the truth is that it has been a cornerstone of the Palestinian approach for over a decade; it is a cause--not the result--of the current negotiating impasse. Known as the "Palestine 194" plan, the campaign represents their push to become the 194th state at the United Nations. It does so by pursuing international justice and legitimacy at the expense of a negotiated end to the conflict. While Western media has been late in identifying the trend, its foundation became visible during the peace negotiations shepherded by President Bill Clinton at Camp David in 2000 and it draws its roots from the same number: 194. In the midst of the first Arab-Israeli war, on December 11, 1948, the United Nations General Assembly passed Resolution #194. The war, which Israelis call their War of Independence and Palestinians refer to as al-Nakba (the Catastrophe), resulted in the displacement of some 700,000 Palestinians from the Mediterranean Sea to the Jordan River and some 900,000 Jews from Arab lands in the Middle East. The UN resolution contains the Palestinian frame of reference for refugees' so-called "right of return" to Israel by calling for a return of those refugees who wish to live in peace and for compensation to be paid by the governments and authorities responsible. It should come as no surprise that the two sides interpreted the resolution differently. Israel reads the phrase, "should be made good by the Governments or authorities responsible" as meaning the Arab states and Palestinians who rejected the 1947 United Nations partition plan and launched the war. Palestinians hold Israel responsible so merely expressing a desire "to return to their homes and live at peace" should facilitate the implementation of the resolution in their view. Resolution #194 forms the basis for the "Palestine 194" initiative because the fate of the Palestinian refugees is central to Mahmoud Abbas' sense of justice and it is a key sticking point in resolving the Palestinian-Israeli conflict. The unlimited return of 4.8 million Palestinian refugees and their descendants to Israel--a country with just over 7 million people--would demographically crush the Jewish State. It is a non-starter in negotiations as it asks Israel to abandon its raison d'être. Instead, Israelis from across the political spectrum believe any return should be to a newly created Palestinian state at the conclusion of a peace deal. The existential Palestinian demand astounded both Israeli and American participants in the peace process, most dramatically during the negotiations from Camp David to Taba, 2000-01. Nevertheless, Mahmoud Abbas doubled down on this demand a few days after the summit, stating that he opposed any Israeli limitation on the right of return, "even if they offered us the return of three million refugees." He was equally unambiguous in his report delivered to the Palestinian Liberation Organization's (PLO) Central Council on September 9, 2000: "The Palestinians want Israel to take moral and legal responsibility for the refugee crisis. UN Resolution 194 must be accepted so that all refugees are guaranteed the right of return, and by return we mean to Israel." Likewise, in the Palestinian response to the Clinton Parameters of December 2000, which represented the contours of a final status agreement, they increased their demands again. A month later in Taba, Egypt, the Palestinian delegation insisted on Israel's compensation for 1) the refugees and their losses; 2) the newly created Palestinian state; and 3) the refugees' host countries "for the significant costs they bore in hosting the refugees." The move to isolate Israel internationally and pursue compensation for damages provides a glimpse into the embryonic stage of the "Palestine 194" campaign. PLO Chairman Yasser Arafat and then-Secretary-General of the PLO Executive Committee, Mahmoud Abbas, were unwilling to compromise. The result was that the disparity between Israel's greatest concession and the Palestinian sense of justice and national rights was unbridgeable in 2000-01. As such, convincing the world of the Palestinian narrative became the goal and foundation upon which they would gain statehood at some point in the future, without compromising their mythology. The second stage was the official and widespread return to the armed struggle, which had previously brought the Palestinian issue to the international fore during the first intifada from 1987-1991. Although the Tunisia-based PLO had nothing to do with its outbreak, it managed to use the conflict to gain a foothold inside the Disputed Territories and further position itself at the vanguard of the Palestinian national movement. The intifada also marked a turning point in worldwide media coverage of the conflict as it adopted a growing focus on the Israeli response to indigenous Palestinian "resistance," rather than the Palestinian acts of terrorism that provoked Israel's response. Through that lens, the legitimacy of the Palestinian cause gained new ground while the legitimacy of the Jewish State's actions receded. Despite the intervening years of the Oslo process (1993-2000), Arafat never abandoned the armed struggle. He sought to use the violence of the new Palestinian-Israeli war of attrition or Second intifada (September 2000) to gain more compromises from Israel and, perhaps, to stunt the swelling orthodox narrative that laid the blame for the collapse of the peace talks squarely at his feet. Yezid Sayigh, former Palestinian negotiator of the 1994 Gaza-Jericho Agreement described Arafat's purpose in 2001, "to incur casualties and intensify the crisis, thus solidifying his domestic backing on the one hand, and raising the profile of outside diplomatic intervention on the other." With Yasser Arafat's death in 2004, Mahmoud Abbas assumed the mantle of leadership and met with President Da Silva of Brazil in 2005 where they laid the groundwork for Latin America's support in recognizing a Palestinian state. As Jonathan Schanzer of the Foundation for Defense of Democracies recounts in his book, State of Failure, by 2011, over a hundred countries had recognized an independent Palestinian state when Abbas revealed his intention to seek recognition at the UN Security Council. Mahmoud Abbas again honed his craft of legitimizing the Palestinian plight by delegitimizing Israel's when he took to the pages of the New York Times on May 17, 2011, penning an article, "The Long Overdue Palestinian State." There, he revealed that gaining statehood and flooding Israel with millions of Palestinian refugees would not be enough. Instead, he explained, UN recognition of a Palestinian state, "would pave the way for the internationalization of the conflict as a legal matter, not only a political one. It would also pave the way for us to pursue claims against Israel at the United Nations, human rights treaty bodies and the International Court of Justice." When it became clear a few months later that he would not have the necessary votes at the UN Security Council, he pushed for a vote in the UN General Assembly instead. While it could not confer statehood upon the Palestinians, it gave them international standing at the ICC. The plan worked. The vote passed the General Assembly in 2012 and in June 2013, the ICC's new chief prosecutor, Fatou Bensouda, declared that Palestinians were eligible to join the ICC. Veteran Middle East envoy for three U.S. presidents, Dennis Ross, explained that there were three serious negotiating attempts since 2000 that culminated in offers to end the conflict: The Clinton Parameters of 2000; Israeli Prime Minister Ehud Olmert's offer in 2008; and John Kerry's effort in 2014. "In each case," Ross recently remarked, "a proposal on all the core issues was made to Palestinian leaders and the answer was either 'no' or no response. They determined that the cost of saying 'yes,' or even of making a counteroffer that required concessions, was too high." The Palestinian push at the ICC not only shirks this fundamental responsibility but it is also a diplomatic slap in America's face. One of Secretary of State John Kerry's preconditions for resuming peace negotiations in 2014 was a Palestinian agreement to halt to their 194 campaign. But Abbas reneged shortly thereafter, joining 15 international organizations and conventions, making clear that they were steps along the path toward joining the ICC. This decision represents an evolution in the Palestinian thought process, rooted in the fact that they are currently unwilling to accept a deal that Israelis are willing to offer. Therefore, they would like to circumvent negotiations where any compromise--if made--could expose their positions to domestic and foreign opprobrium. They aim to avoid the kind of international pushback Arafat received in 2000 when President Clinton blamed him for the talks' collapse. This international pursuit of legitimacy and justice will focus attention on their cause while pressuring Israel to give in to their demands, providing an additional boost to the boycott, divestment, and sanctions (BDS) campaign against Israel. It is questionable whether or not Palestinian leaders truly believe their 194 plan will result in their statehood in fact. But for now it doesn't matter; in the meantime it will preserve their demands should they decide to negotiate with Israel at some point in the future. In short, it alters the status quo to a place where the entire burden is on Israel. As of yet, there has been no cost associated with these cynical maneuvers. Completing the Palestinian quest for international justice and legitimacy means convincing the world of their historical narrative. But playing the exclusive role of victim still does not absolve Palestinians from their own responsibilities. Those who claim to support their statehood and are backing the "Palestine 194" initiative are not helping. It perpetuates the conflict. In the end, there is no substitute for gaining their statehood other than through direct negotiations with Israel. That will necessitate revised expectations, a different Palestinian strategy, and room to make the difficult choices required for peace.